This listing is provided as a courtesy to WTHJA members and does not represent an endorsement, recommendation, or approval of any service or product. All questions should be directed to the organizations or individuals listed. 5610 Forest Hill Irene Rd. Contact Candy Duke at cdukehome1@aol.com if you wish to advertise your equestrian services or products here. USEF now requires all competing USEF members age 18 years or older to complete Safe Sport training prior to January 1, 2019 in order to participate in USEF activities and competitions. 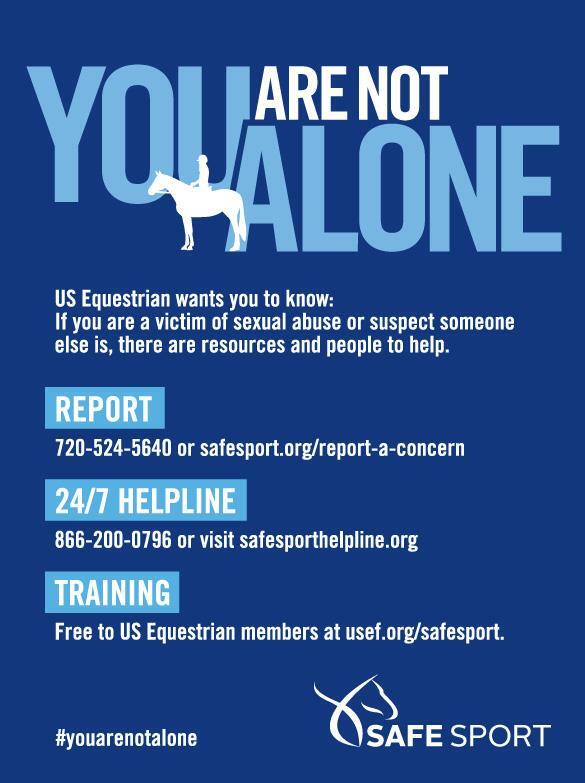 More information available at usef.org/safesport. 2019 Microchipping rule: no horse (unless competing exclusively in opportunity classes) will be allowed to compete at any rated show beginning in 2019 without being microchipped and having the microchip number recorded at USEF. Find more information about microchipping at USEF Microchipping Rules.